This is a 48-student batch. The breadth of opportunities for this batch is quite interesting. Sales and Marketing, and Consulting seem to be the most popular domains – each of them accounting for a third of all graduates. At the outset, we must mention that our knowledge about this programme and its placements is relatively low because of its short history and lack of our network. However, we have received many queries regarding the placements for this programme and we are happy to report it in our format. We have done as much as we could to verify information. But, potential applicants and recruiters are advised to dig deeper and get as much information as possible first hand. We can confirm that the career services centre of the parent campus does not actively help either the PGP at UAE or PGP at Mumbai programme students. There are independent committees at work at both these campuses. A Corporate Resource Manager has been appointed who also looks at placements. IIM Indore is associated with the Higher College of Technology which is very influential in the region. 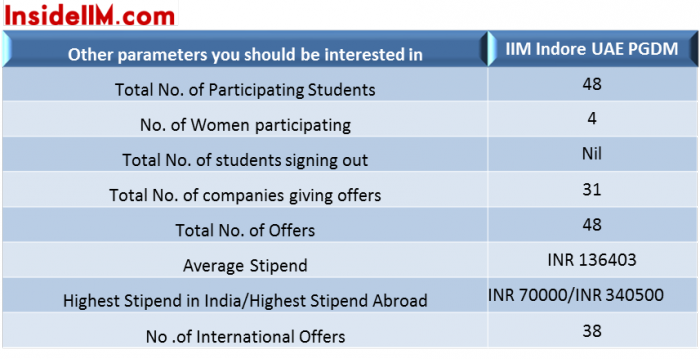 Also, please confirm with students studying at UAE if there are any companies mentioned here that made offers outside the institute’s placement process. We have done a feature on IIM Indore PGP at UAE a few months back which you can read here. You can read about summer placements for the previous batch here – Summer Placements, IIM Indore UAE – Batch of 2014. 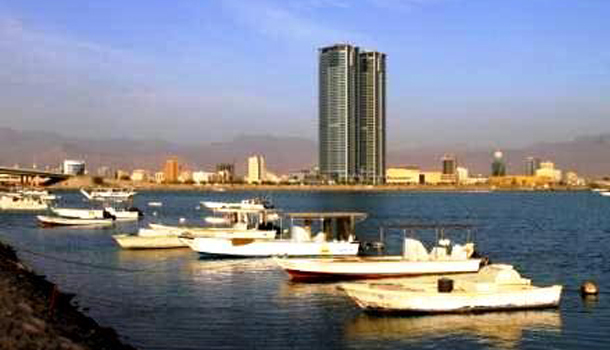 – 77% of the batch received offers in UAE, with an internship period between two to four months. – Tolaram Group Nigeria and Frost & Sullivan Malaysia offered their flagship summer internship profiles. 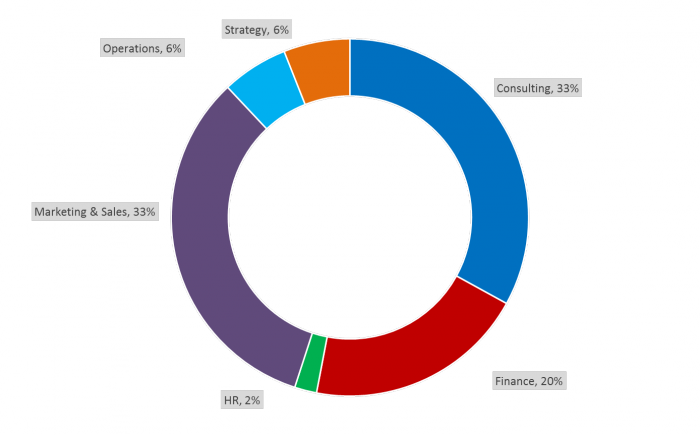 – 33% of the batch received offers in Consulting. 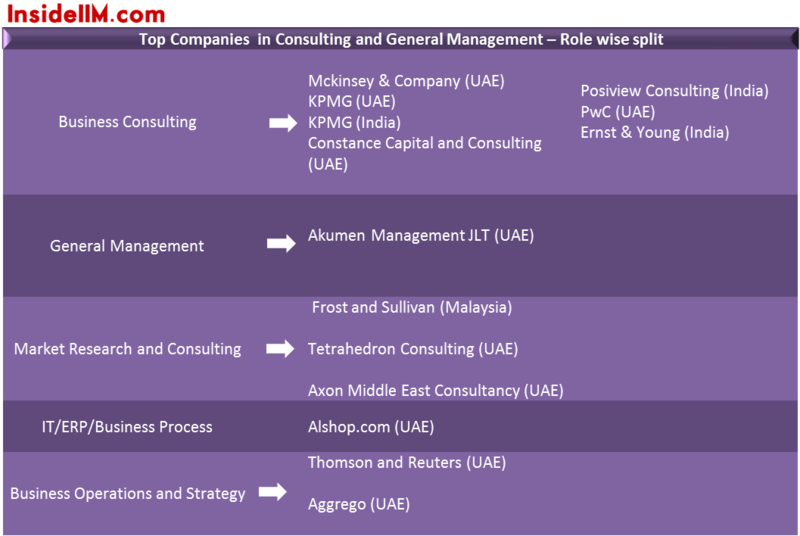 Prominent recruiters included Mckinsey & Co Dubai, KPMG UAE, KPMG India, PwC Dubai, Constance Capital & Consulting. – 33% of the batch received offers in Marketing & Sales. 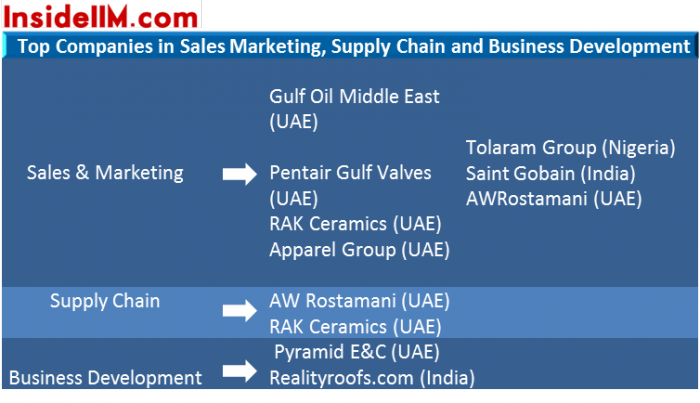 Prominent recruiters included Pentair Gulf, RAK Ceramics, AWRostamani, Gulf Oil, Saint Gobain, Leo Burnett. 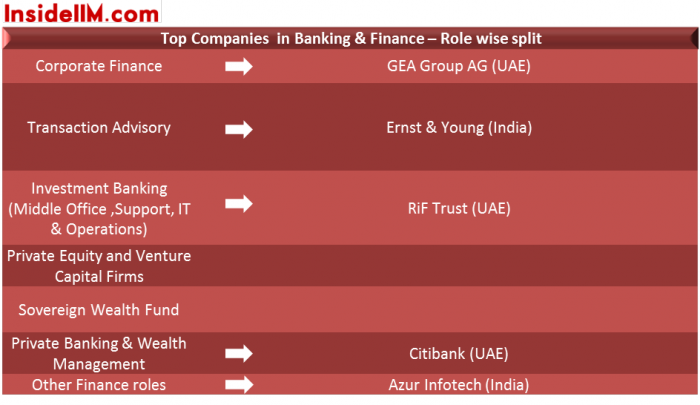 – Prominent recruiters in India included E&Y, Saint Gobain, Leo Burnett. Read the summer placement reports for this batch (2013-2015) – (FMS (Unverified), IIFT Delhi and Kolkata, IIM Bangalore, XLRI Jamshedpur, IIM Indore, TISS Mumbai, IIM Calcutta , IIM Ahmedabad (Unverified), JBIMS Mumbai, MDI Gurgaon (Unverified).